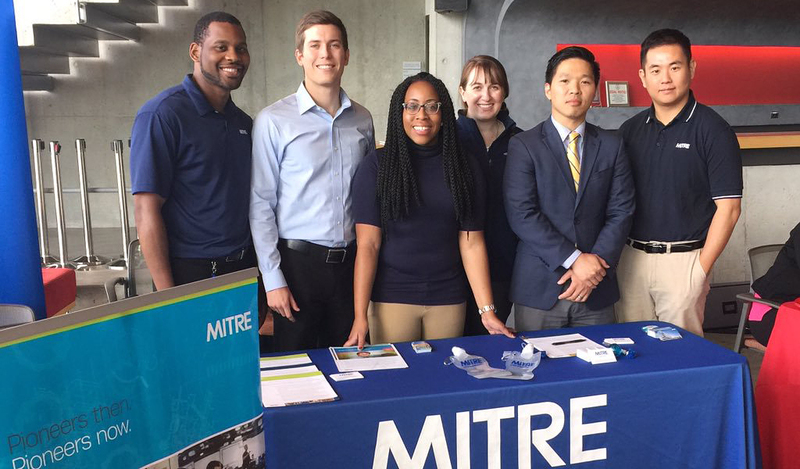 MITRE conducts recruiting events during the fall and spring of each year. If you do not see an event listed for your school, don't worry, you can still apply for a co-op, intern, or entry level position from our Job Openings page. We also invite you to follow the MITRE's Campus Recruiting Team on Twitter to keep up with our latest news. You can also chat with a MITRE recruiter online by clicking the orange banner on this page, email us at students@mitre.org or contact a member of our team.